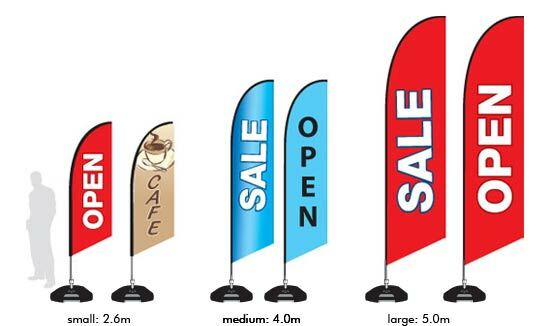 Flag Maker can easily produce a variety of display flags that are colourfully printed for your advertising needs. This form of marketing provides high visiblity, ensuring your message is clearly seen and understood. Each unit comes in a carry bag with a customised flag and either ground spike, spindle or water base. Double sided options are available on 2.5 and 3m units. 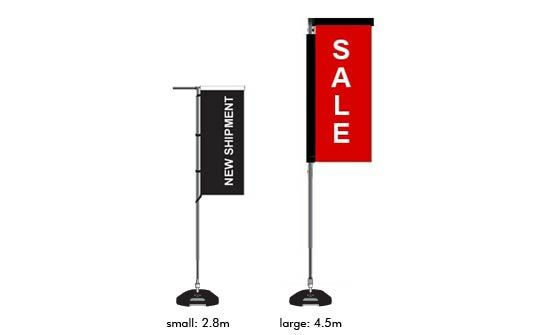 Double sided options are available on 2.6 and 4m units. A more traditional flag system. You have a range of fabrics to choose from as well as base options and finishing solutions.